The WPS CLM Program received Honorable Mention for the APA 2018 Assembly District Branch Best Practice Award. The WPS Career, Leadership and Mentorship Program was established 10 years ago in 2008 under the leadership of Eliot Sorel, MD, DFAPA. The mission of the program is to identify and provide role models for various career pathways, including academic research, clinical, policy and others. CLM also facilitates and nurtures organizational leadership opportunities and mentors with clarity, consistency, continuity and care. 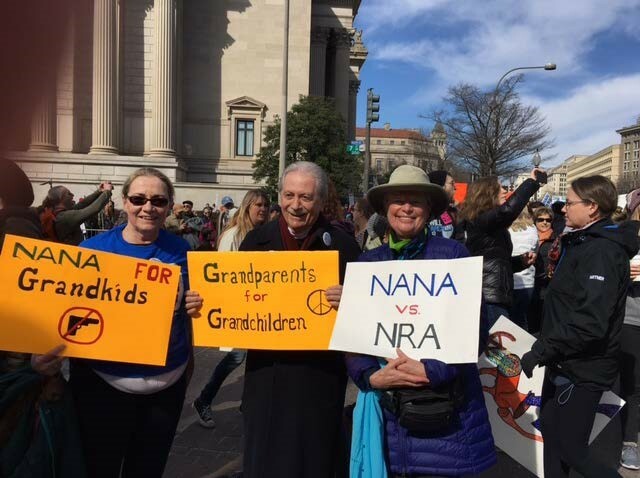 The March for Our Lives, a multigenerational, hope inspiring civic event, was held in Washington, DC on Saturday, March 24, 2018. Eliot Sorel, MD and former WPS President and his wife, Christiane, participated.